The radical group Right Sector could be banned in Ukraine after around 2,000 of its supporters encircled and threatened to storm the country’s parliament late Thursday, a source in Yulia Tymoshenko’s Batkivshchyna party told RIA Novosti. Late Thursday night, ultranationalists from Right Sector encircled the parliament building, demanding the country’s interior minister stand trial for the killing of notorious right-wing militant Olexander Muzychko, who died on Monday in a shootout with police. Muzychko, also known as Sashko Bilyi, was wanted by Russian authorities for war atrocities in Russia’s republic of Chechnya, including the torture of Russian soldiers. He had earlier accused Ukrainian prosecutors and police of a plot to kill him. The radicals that blockaded parliament Thursday later announced they were postponing the storming of the building until Friday morning. Following Thursday’s siege, top Ukrainian officials held an emergency meeting, at which Interior Minister Avakov suggested an outright ban on Right Sector. 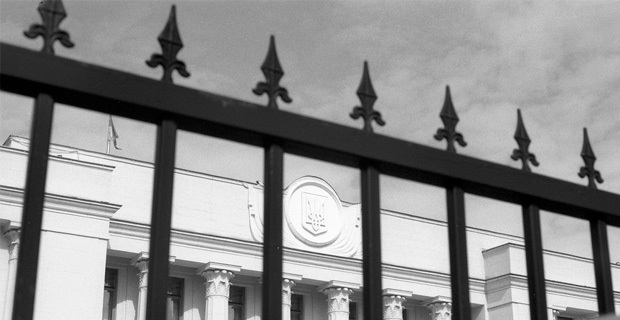 Andriy Parubiy, the head of the national security and defense council, reportedly supported the motion, adding the move would allow those present to whitewash themselves of ties with the radicals. Russia has consistently warned that the new government in the country, which came to power last month unconstitutionally, has a dangerous fascist element of Ukrainian ultra-nationalism, leading Moscow to take steps to protect ethnic Russians in Ukraine.